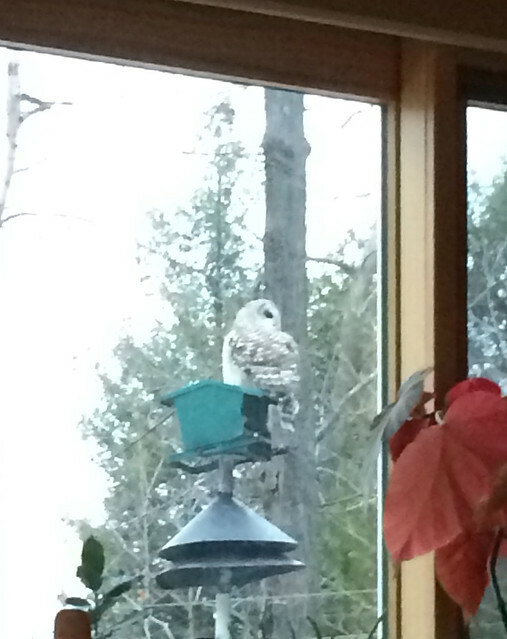 A barred owl came and sat on my feeder, just as I was sitting reading in the living room around 4 PM. Pretty neat! I got a mediocre shot of him, he flew as i tried to get closer. I don't know how to send photos to the nature board, so I've sent it to Bob, and he will perform the tech magic necessary. Interesting that he didn't spook the feeder birds.